“Everyone has a story.” That’s something you’ll hear us say often at Sisters U. Each month we have a guest speaker as well as a Sister of the Month speak and share her story. 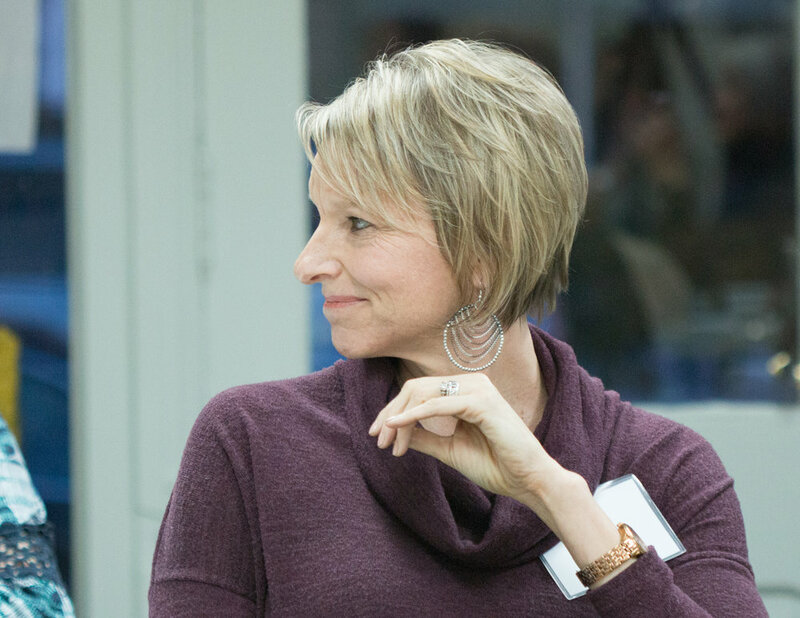 This January we had our Sisters U founder and president, Karen Chellew, speak with us on the importance of telling and owning our personal story, while sharing some about her background, how her story was cultivated and different experiences that brought her to where she is today. Not only is Karen a mother and founder of Sisters U, she is also co-founder of My Divorce Solution and has worked in the legal field for 30 years. She’s passionate about helping others in general, and in her work she empowers those going through the life transition of divorce so that they are not alone in navigating that process and can continue to live their best life. She has also run for local office and is very community-oriented. Her words were moving for all of us. When you embrace your life, and your story, whether through journaling, blogging, art, public speaking, photography or a recipe book, you encourage others to tell their story. You never know when someone will be inspired, motivated, or just needed to hear your story so they could say, ”that happened to me too,” and someone in the world feels a little less alone because of you. Instead of comparing our lives, we grow more when we encourage each other to share or embrace our own story, our authenticity, and lift each other up in the process. Many thanks to Erin Plank for writing this blog post. Please accept our apologies for the delay in posting this recap of a workshop that took place in November 2018 in anticipation of preparing for the holidays. Thankfully, much of the advice is helpful for organizing any major event! Many thanks to Shawna Boell of Get It Together Mom for presenting this workshop. On your mark – get set - let the holidays begin! Happy December from all of us at Sisters U! The start of holiday cards, gift giving, and parties -- school events, volunteer activities and parades! It’s the busiest time of the year for most. 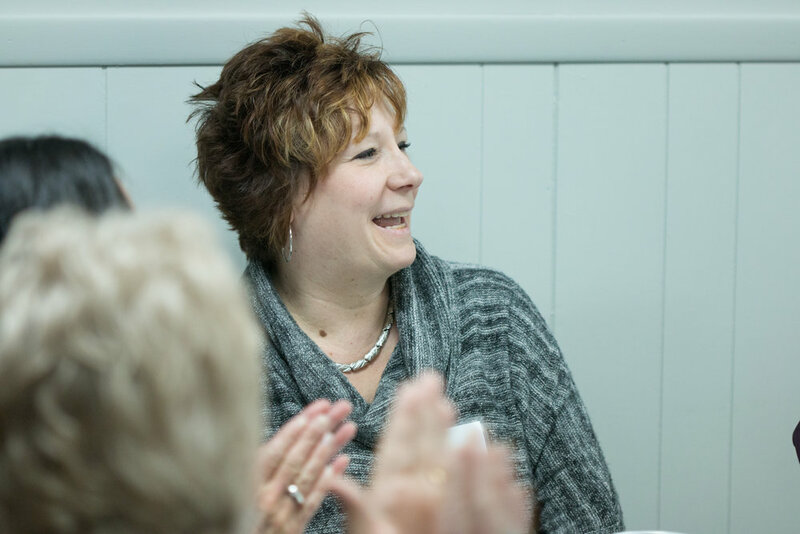 To recap our November meeting, we had speaker Shawna Boell, owner of Get It Together Mom, give us the lowdown on how to “get it all together” for this time of year so we can still have time to relax and enjoy with our loved ones. A little about Shawna - she wears many hats, especially this time of year. A mother of two, her business focuses on home organization, where she helps organize and create spaces in homes with busy families. For the holidays, Shawna volunteers with the Dear Santa Society, takes part in local parades and is involved in many other family and school activities. Christmas is one of her favorite holidays! One fun fact she shared with us is her Grandparents used to dress up as Mr. and Mrs. Claus. They had five children of their own and fostered 25 other children, which truly does sound like something out of a Christmas story! 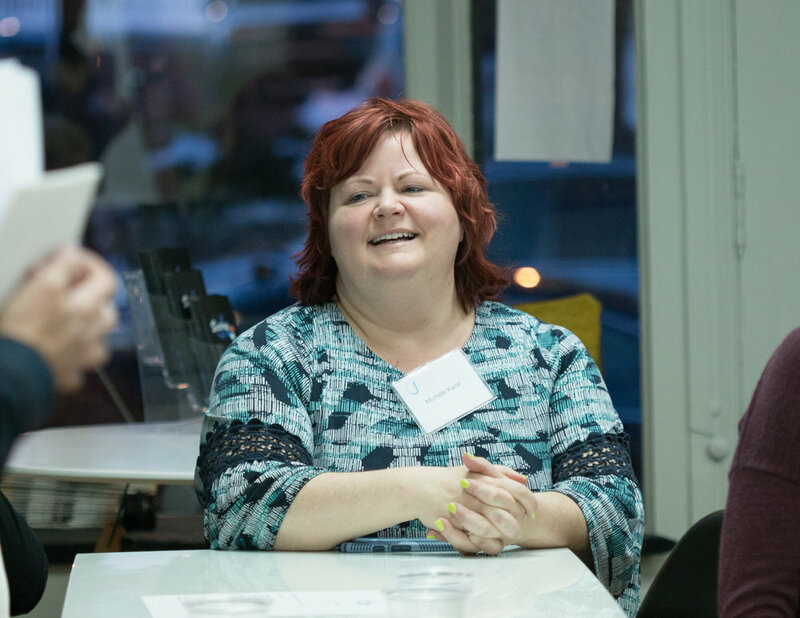 In order to manage everything, Shawna suggests setting time limits for different projects. Creating deadlines on a calendar is a great and efficient way to check off tasks for projects, stay on a committed timeline and results in less stress and anxiety. If there are different parties, you can create different lists for those parties. Nowadays there are plenty of apps that allow you to see what people are bringing to parties, whether it’s a school party, house party, or work party, so that people know what is still left to purchase. An RSVP deadline keeps you on task so you can check how many people will be attending. When you go to make your cards, have some extras on hand in case you forgot someone. If you have a big extended family, consider holding a Secret Santa or Pollyanna with a set budget, so no one gets left out. Shawna recommends documenting your gifts, price, when you bought them, when you wrapped them and when you gave them to ensure everyone gets what you planned to give them. Several apps she recommended to keep track of things, which can also assist in helping you find gifts and price are Santa’s Bag, The Christmas Gift List and Gift It. If you end up being under budget when all is said and done, consider donating leftover money to Toys for Tots, or Dear Santa Society. Our March 2017 meeting was exceptional since it featured the talent and strength that lies within our members. We heard from Kimberly Rabago, MSW, who has worked in grief counseling and Heidi Garis, an International Success Coach, Psychotherapist, and Intuitive Energy Healer lead a panel on working through grief and making a way to healing. Our very special - and surprise, well, to her - Sister of the Month was Stef McKeever. We honored her for her years of service to Sisters U - from Day 1! She's still our Sister but has handed over the Administration reins to Kimberly Rabago. Many thanks to Amy McDermott of Heart & Soul Portraits and Joe Spallone of Spallone Media Productions for documenting the evening. Thank you to everyone who attended our 6th Anniversary Celebration! 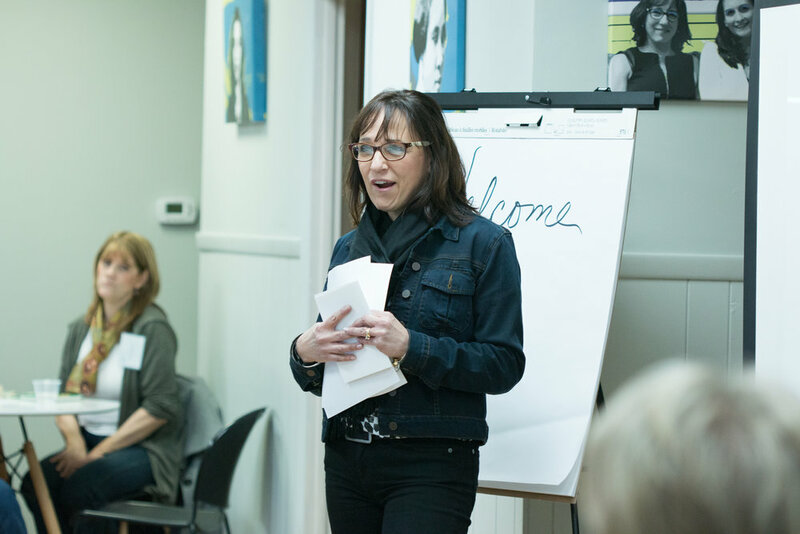 Held during our February 2017 monthly meeting, we toasted six years of connecting and empowering individual women to be their authentic selves and reach their full potential. 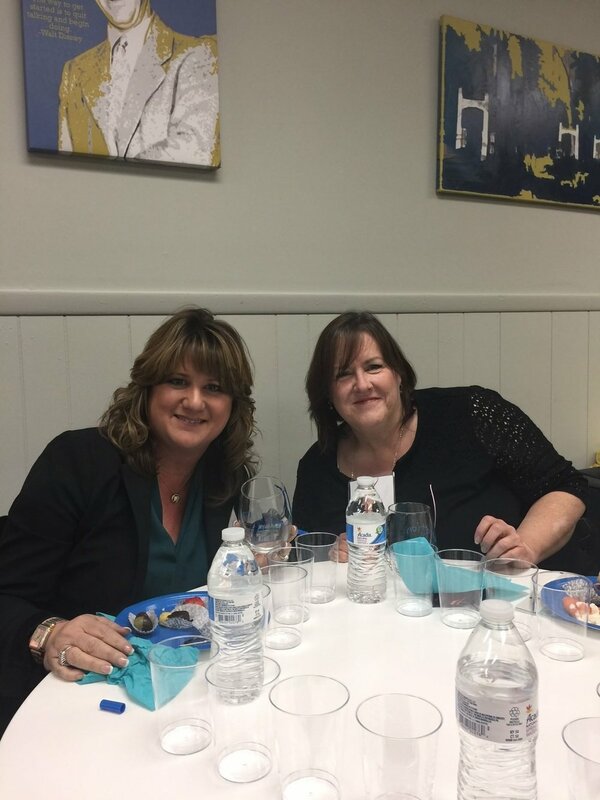 We enjoyed a wine tasting presented by Elayne Brick, proprietor of The Washington House Restaurant and Hotel and Sellersville Theater. We learned how to enjoy the fullness of flavor in each wine and decide what we liked best. Thank you, Elayne!